Could This New Battle Royale Game Bring Something Unique to the Genre? Update (7/18/2018): Fear the Wolves will enter early access later this summer instead of on July 18th. The headline & article summary has been edited to reflect this new information. 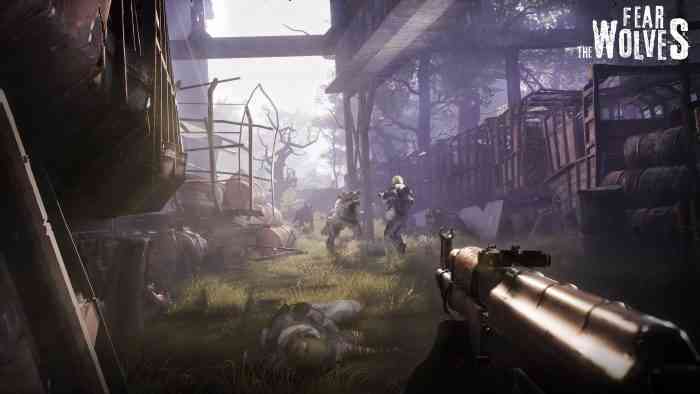 Fear the Wolves, a 100-player Battle Royale FPS being made by former Stalker developers, is going to enter Steam Early Access next week on July 18th, the game’s publisher announced recently. The game’s developers at Vostok Games are planning to use early access to gather feedback for the full game (which is scheduled to come out in 2019). According to its Steam page, the game will exit early access next year. Fear the Wolves will have the typical “last-man-standing” gameplay found in Battle Royale games but players will also have to deal with wolves, radiation and dangerous weather while battling each other. Fear the Wolves is scheduled to come out in 2019 for the PC & consoles.